Physician leaders will discuss impact of the epidemic and hope for patients and physicians. The Medical Association of Atlanta will host a town hall symposium at Emory University School of Medicine to address the nation’s opioid epidemic, its impact on the people of Georgia, fighting addiction stigma and offering hope to patients and physicians. 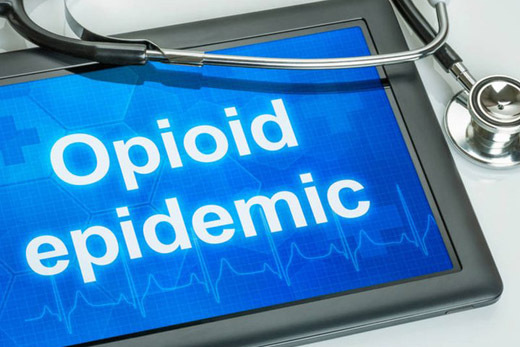 The town hall, “New Hope for the Opioid Epidemic,” will be held Saturday, Feb. 9 from 10 a.m.-noon at Emory University School of Medicine, Room 130, 100 Woodruff Circle, NE, Atlanta, GA 30322. The event is free and open to the public. Patrice Harris, MD, president-elect of the American Medical Association (AMA), chair of the AMA Opioid Task Force, and an adjunct faculty member at Emory School of Medicine, will be a panel member. Speakers are scheduled to include moderator Ira Horowitz, MD,director of the Emory Clinic and physician group president in Emory Healthcare;Martha Wilber, MD, president, Medical Association of Atlanta (MAA); Patrice Harris, MD, president-elect of the American Medical Association (AMA); Jim Langford, executive director of the GA Prevention Project; Allie Armbruster, offering A Story of Hope; and Justine Welsh, MD, program director, Emory Adolescent Substance Abuse Treatment (EAST) Services, discussing medication assisted treatment, myths and reality. Parking is available in the parking lot at the Woodruff Health Sciences Center Administration Building, 1440 Clifton Rd., NE, and in the Peavine Parking Deck. Shuttle can transport to and from the Peavine Deck and the School of Medicine. Established in 1854, the Medical Association of Atlanta promotes the health and safety of our community through physician leadership. A nonprofit association, the MAA is dedicated to the advancement of organized medicine in the Atlanta area and is the pulse of Atlanta medicine. Atlanta Medicine, the MAA journal, is published six times each year. For more information visit maa-assn.org, or visit the organization's Facebook or Twitter.